Rotor's PF4124 Bottom Bracket will easily accommodate your press fit, 41mm diameter with 24mm axle BB shell. 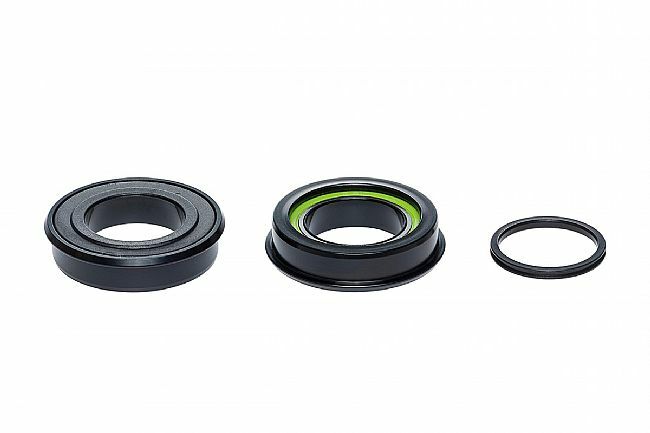 Rotor created the PF4124 to eliminate the all-too-common complicated bottom bracket/crank compatibility challenge. Designed to work with BB86, BB89 and BB92 bottom brackets. Labyrinth seals prevent bearing contamination. Compatible with ROTOR and Shimano 24mm cranksets.